This is one of my Colours and Contrast of India Exhibition. 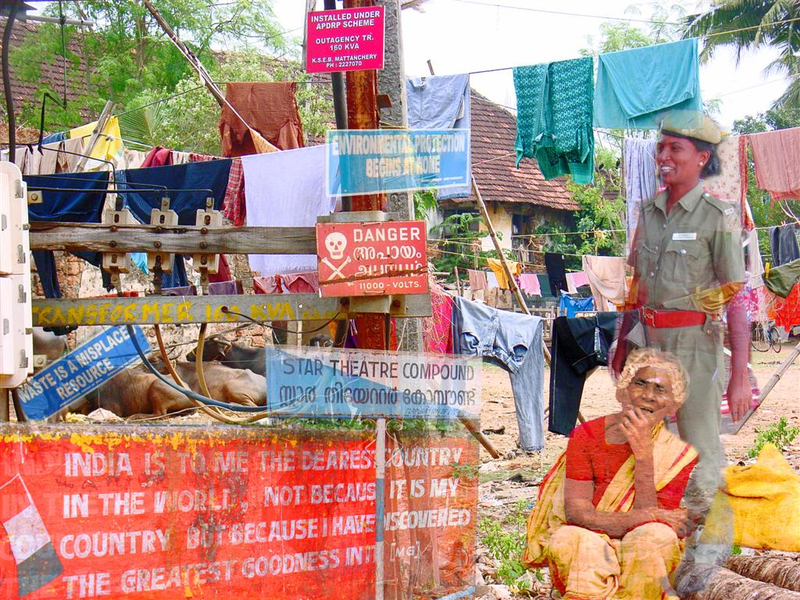 Signs are everywhere in India and themselves tell much of India's story. Here I have layered a few along with the wonderful setting for rows of washing.